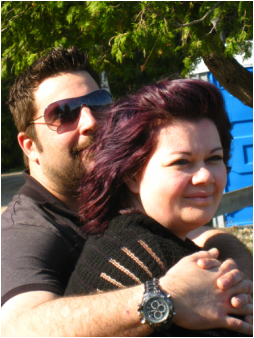 Don & Tania Craig are a super cool couple from West Lake in Prince Edward County. They have 4 children and have been married for 8 years. Don works at the Picton cement plant and Tania is a hairdresser. They have made an ambitious 5 year commitment to fundraise $6,000/year to support YFC Liberia and are currently (also) fundraising $15,000 in order to complete the building project which they began in November 2015. They got involved with Youth Unlimited while they were living in Brighton.They met Daryl Stogran, YFC Canada's Director of Global Engagement, and Daryl took them with him to Ghana. Upon returning from Ghana, Don went with Daryl to Liberia. After that point it was no turning back, and Liberia has been on Don's heart ever since. In November 2015 Don and Tania took their oldest son, Cameron, and a Belleville teen to Liberia to partner with YFC Liberia to build a school for this warn-torn nation. They plan to return in November 2016 with a team of people, especially teens, in order to continue supporting the country and the YFC ministry there and also to educate teens on how others live around the world. Tania's favourite things are music, dancing, and singing, and Don's favourite things are racing anything that moves, whether it's jet skis, snowboarding, motorcycles, or cars. You might not be a dancer or extreme sports enthusiast, but it's easy to get to know and love Don & Tania. Don't miss out - get to know them! Learn more about the Liberia Partnership here.